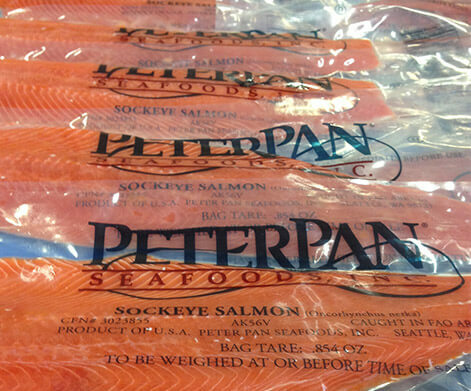 Peter Pan Seafoods, Inc. was incorporated in the State of Washington on March 22, 1950, and is the successor of P.E. Harris Co., which began canning salmon in Alaska in 1912. The corporate offices are located at 3015 112th Ave NE in Bellevue, WA. Peter Pan’s Federal I.D. NO. IS 91-0556456 and the Washington Resale Permit is A00 0731 21. Peter Pan Seafoods’ Dun and Bradstreet number is 00-924-9533. Astoria Warehousing, Inc., Golden Alaska Seafoods, LLC, American Beauty, Inc., Ocean Leader, Inc., and Nichiro Peter Pan Investments, Inc.
Production facilities are located in Alaska at King Cove, Port Moller, Dillingham and Valdez, with ancillary operations at Sand Point, False Pass, Naknek, and Egegik. The King Cove plant is the largest salmon processing facility in Alaska. Peter Pan Seafoods, Inc. is wholly owned by Maruha Capital Investments, Inc., a subsidiary of Maruha Nichiro Corporation in Japan, one of the Fortune 500 companies outside the United States and the largest seafood company in the world. Sales: Principal revenues are from sales of canned, frozen and fresh Salmon, King Crab, Tanner Crab, Halibut, Pacific Cod and Alaskan Pollock; as well as Surimi (Analogs) under the SeaBlends label. The Company sells throughout the world and maintains a brokerage network in the U.S. with delivery warehouses located in all major markets. 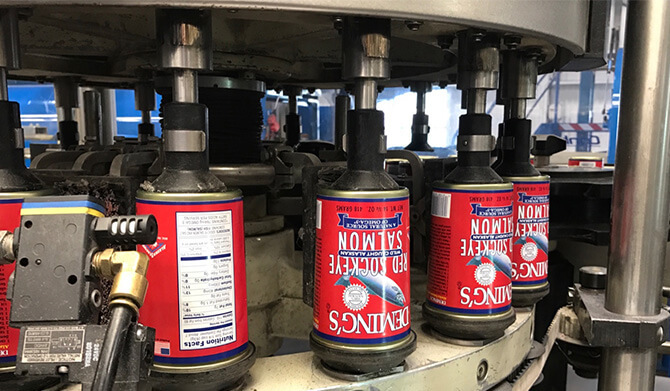 Principal brands are “Demings”, “Double Q”, “Humpty Dumpty”, “Peter Pan”, “SeaBlends”, “Oceanic”, “Gill-netter’s Best”, “SeaKist” and “Unica”. Sales vary due to fluctuations on the supply of product, but range from $225 million annually. Barry D. Collier, President & C.E.O., has been in the fishing industry for over 30 years. Other corporate Officers have 20 to 30 years experience individually in this specialized business.